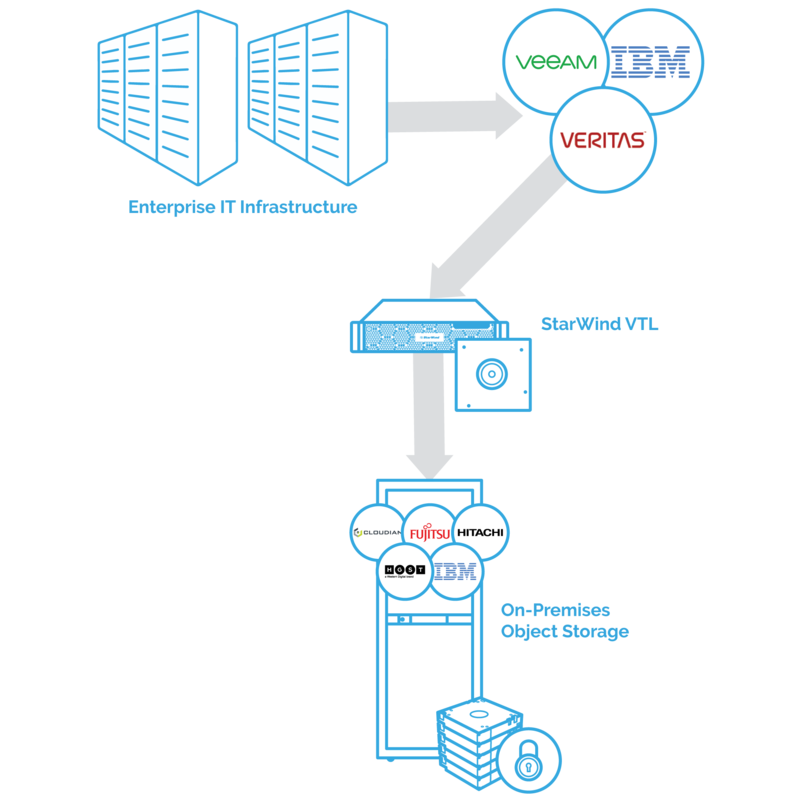 StarWind VTL helps businesses to eliminate their costly tape backup processes while meeting regulatory data archival and retention requirements using on-premises Virtual Tape Libraries with cloud and object storage tier. Protect your backups from ransomware by keeping them air gapped on virtual tapes. Replicate and tier your backups to AWS, Azure, or any other public cloud to maximize storage cost-efficiency and security. Finally, use any industry-standard object storage array for flexibly scaling the local storage. SMB use case is aimed at organizations looking to leverage cloud storage to automate their backup and archival processes. VTL automates and replaces manual DR tape shipping and augments existing DR plan by offering both replication & tiering. StarWind can also help with migrating the data to the cloud using a hardware data migration tools like AWS Snowball or Backblaze Fireball. Enterprise use case is suited for organizations looking to leverage both object storage and cloud storage to automate their backup, archival, and media asset management. Here VTL provides a cost efficient air gapped nearline storage for media assets that need to be kept on-premises. 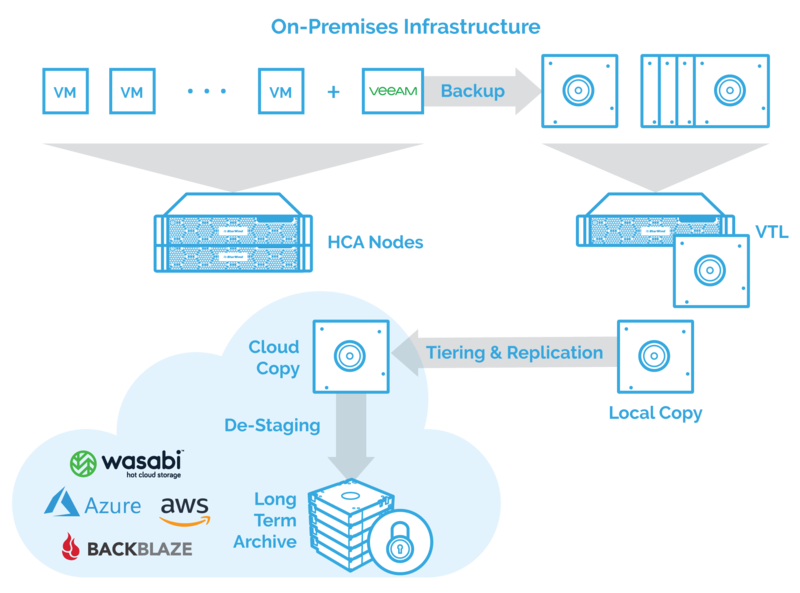 For backups and archives VTL automates and replaces manual DR tape shipping and augments existing DR plan by offering replication & tiering to both object and cloud storage. StarWind can also help with migrating the data to the cloud using a data migration solution from your cloud provider of choice. 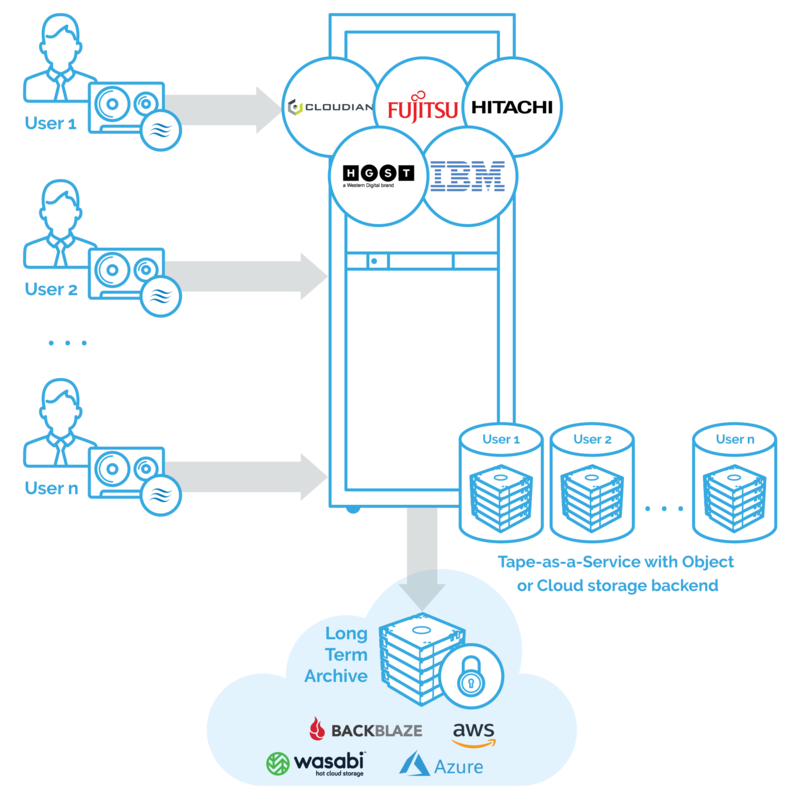 Service Provider use case allows organizations to offer tape as a service (TaaS), repository as a service (RaaS), and backup as a service (BaaS) using cloud and object storage instead of physical LTO. Service provider licensing offers a convenient per-user payment system. In addition, customer data migration services are provided free of charge. Ransomware can't encrypt tape libraries so virtual tape is a safer backup repository compared to NAS or SAN. Additional copies in Amazon S3 and Glacier deliver complete data security even if the entire on-premises infrastructure is compromised. StarWind VTL is a backup storage solution designed to eliminate costly tape backup processes while meeting regulatory data archival and retention requirements using on-premises Virtual Tape Libraries with cloud and object storage tier. To download the software product please fill out the form below. An installer link and a license key, if applicable, will be sent to the e-mail address you specify. The Release Notes can be found here.